Ensure an air tight seal to maintain positive pressure and to prevent contamination in your cleanroom with ceiling gasketing. 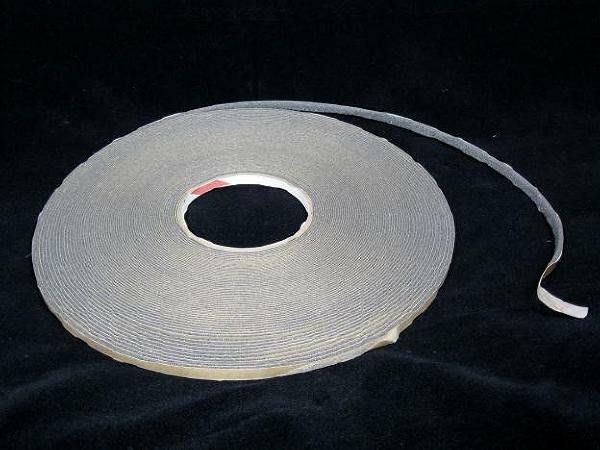 This ceiling gasketing tape measures 1/4" x 1/8" and comes with 100 feet of gray, open cell foam tape on each roll. Ceiling gasketing is ideal for situations in which a new or existing ceiling grid does not have its own gasket. The tape’s rubber adhesive allows the gasket to be applied to the grid flange or to the tiles, lights, and filters. With questions concerning cleanroom or critical environment ceilings applications and accessories, please contact an CleanroomSupply representative.